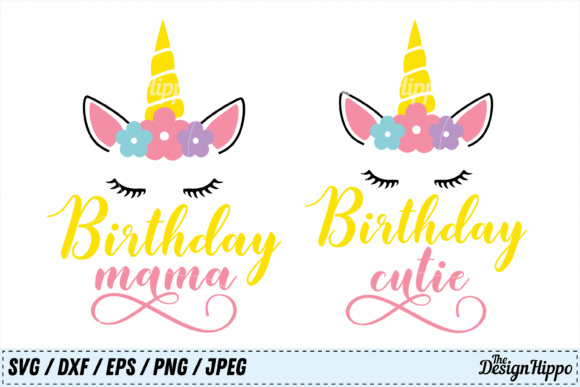 This is a set of 2 designs – Birthday Mama & Birthday Cutie. Make the cutest matching tshirts with these files. You will receive high-quality, easy to use files in SVG, DXF, EPS, PNG, JPEG formats. Print it on iron on transfers or cut the design using a cutting machine. Perfect for use in Cricut Design Space, Silhouette Basic and Designer Edition.